ARCAS specializes in educational field trips with students from around the world who come to get hands-on experience working with animals at the Rescue Center and at the Hawaii Sea Turtle Conservation Project. These trips are usually combined with participation in other community projects and visits to other popular touristic sites in Guatemala. Here, the 2011 Oakland Zoo group posing for a group photo before boarding the plane for their flight home. 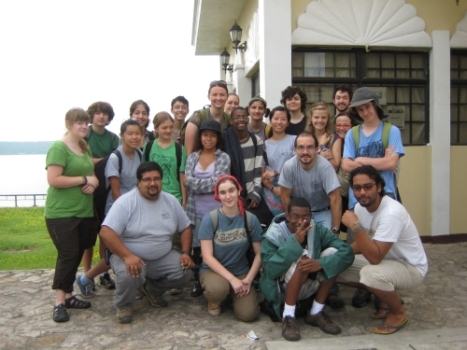 Students learn about the difficulties of conserving wildlife in a developing country environment and gain valuable cross-cultural and team-working skills.